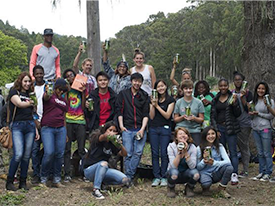 What Does the Ecology Center Offer Youth? The Ecology Center is a great non-profit organization founded in 1969 by a group of Berkeley residents who were eager for environmental reform. To this day, it continues to be in the forefront of many environmental campaigns. It’s never too early to become an environmental activist and the Ecology Center offers resources for everyone in the community with a curbside recycling program, events and workshops, and plenty of guides and programs. Here is a compiled list of some of the top resources available for teens and youth at the Ecology Center. Check out ways to help out and learn with the Ecology Center. There is something for everyone here, whether it be artistic, mechanical, or organizational. Volunteer applications take no more than 15 minutes to fill out. Five volunteer hours earns a one-year Ecology Center membership while some kinds of volunteering can even qualify for community service! Volunteer to work at the Farm Fresh Choice produce stand, offer up your art or photography, or even initiate your own environmental project! Many teens and youth want to help heal the environment but don’t know where to start. Luckily, you can join the Berkeley Climate Action Coalition which was created in order to meet the city’s Climate Action Plan goal of reducing Berkeley’s greenhouse gas emissions by 80% by 2050. It is open to everybody! You’ll also have the opportunity to network, attend convenings, salons, working groups, as well as volunteer at BCAC sponsored events. BASIL stands for the Bay Area Seed Interchange Library. It was created in part as an alternative to the use of genetically modified seeds by diversifying Bay Area gardens with various open-pollinated seeds. Located in the Ecology Center, seeds are free to borrow but you are asked to replace them with seeds harvested after you grow your crop. If you don’t have a green thumb but want to stay involved you could also help keep the seed library organized. Want to start your own drought tolerant garden or get involved in a local project? Need information for an upcoming research project? Bring us any and all of your environmental questions! We won’t write your paper for you but we’ll give you plenty of sources to draw from! Did you know the Ecology Center has its very own library? Take a gander at our collection of books and videos; you might be surprised with what you find. We have documentaries, how-to guides, reference, and more. A membership is required to borrow items for up to two weeks; but, a membership can easily be earned with five volunteer hours (see “volunteer” for more info). In addition to the lovely Ecology Center farmers’ markets, we also provide local neighborhoods with fresh produce at wholesale prices directly from farmers! You can find us every Tuesday from 3:30-6:30 P.M. at the Frances Albrier Community Center at San Pablo Park- 2800 Park St, Berkeley. If you like what you see and want to contribute, fill out the volunteer form to help us out! 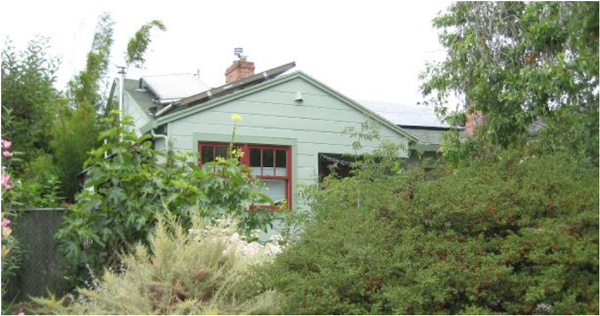 Located in North Berkeley, the EcoHouse is a demonstration home and garden that offers tours, classes, and workshops that are great for all levels of environmentalists. Learn about greywater systems, an assortment of plants, rooftop gardens, and more. Volunteer days are also provided to help maintain our edible and native garden plants. 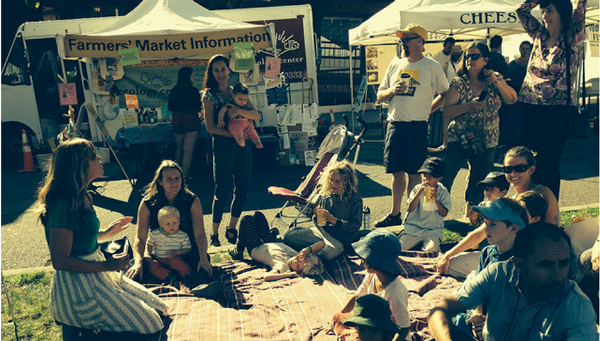 Shop locally for eco-friendly household goods and gifts. We provide everything from cookbooks, to body products, to plastic-free lunch supplies, to holiday cards. Members receive a discount! Up on the top shelf of the Library, you’ll find a blue binder titled “Jobs & Internships”. Every time we hear about a new job posting, we stick it in the binder, from most recent to oldest. There is a wide variety of jobs to choose from; you’re sure to find something! You can also explore the section of our EcoDirectory for jobs and internships. We’re on Facebook, Twitter, YouTube, and Flickr. Follow us or subscribe to stay updated on the latest news and events. Most events are free or low cost, cover a wide range of topics, and are appropriate for many levels of experience. Learn a hands-on skill or delve into a topic that interests you. I hope that by reading this, you’ve become inspired to get involved in your community! About the author: Nerine Ortiz-Pon is a Youth Intern with our Youth Development program. Nerine began her time at the Ecology Center through the Youth Environmental Academy in the summer of 2014. In the fall of 2014, Nerine was fortunate enough to be a part of the groundbreaking soda tax in Berkeley by canvassing and phone-banking on the weekends and after school. Now, Nerine supports Ecology Center’s communications as well as the Farmer’s Market. She updates the Ecology Center’s social media accounts, writes the occasional blog post, and works at the Berkeley Farmer’s market on Saturday. Nerine is currently a senior in Communication Arts and Sciences, a small learning community within Berkeley High School that focuses on addressing social justice issues through media literacy. 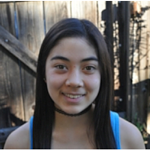 Nerine plans on attending UC Berkeley in the fall and hopes to continue her involvement with more organizations similar to the Ecology Center. 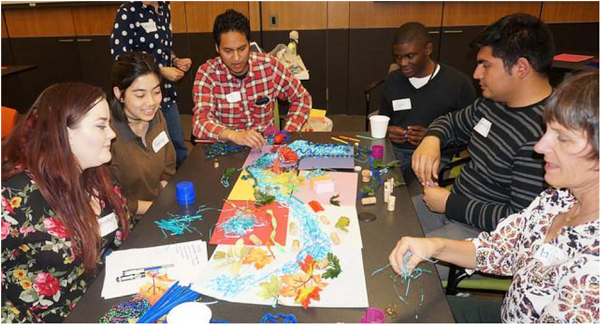 This entry was posted in Blog, Featured and tagged green jobs, youth, youth development, Youth Environmental Academy by Nerine.Ortiz-Pon. Bookmark the permalink.